It is an interesting estimation that the number of people in the world that use English to communicate on a regular basis is 2 billion! Which is 1/3 of the world population. The need to learn English for kids has increased exponentially with this growth. Learning English can really change and enrich your child’s life. At our Preschool, all conversation is done in English. Naturally, preschoolers will be able to learn English with our American child education curriculums! In this program; there will be a weekly Theme, Bible Reading time, Prayer time, Practical Application and a creation time for kids to express their creativity and learn practically in a productive way. This program enhances emotional stability of children. Our Children Music Programme provides every preschooler with the opportunity to sing solfege and train on rhythms all in English. It provides crucial support for brain development in the child’s early years. This proven approach also enhances children’s confidence. 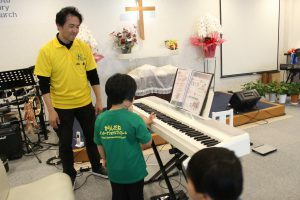 It also improve their concentration and memory, more attentive listening, ability to express feelings better, greater sense of rhythm, understanding of the basic rudiments of music, ability to read music scores and nice ear. Our Children Music curriculum will be taught by our professional teacher. 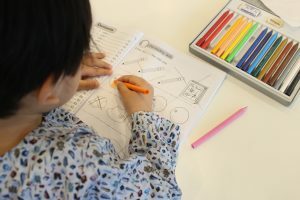 This programme is a multi-sensory programme which stimulates children to learn through their senses- sight, sound, movement, speaking, reading and writing. Preschoolers will see and understand the relationship between letters and their sounds and how it is written down and how it is read. 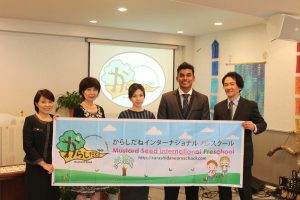 Theme songs and rhymes, as well as hands-on theme-related activities spanning across our curriculum are introduced to make learning English fun and meaningful. 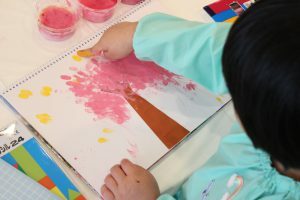 Our Arts & Crafts provides opportunities for our preschoolers to express themselves using their creativity. It also helps to develop fine motor skills. We focus on visual arts which includes painting, drawing and sculpturing. This is a curriculum for inspiration and creativity. 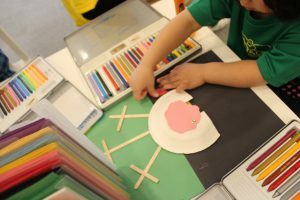 We provide a variety of materials for our preschooler to use and explore.